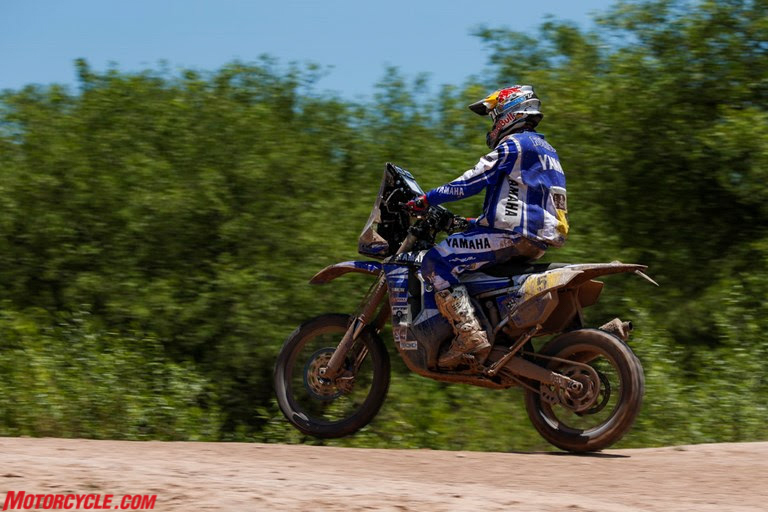 Successfully overcoming the challenges of a long and gruelling stage two at the 2017 Dakar Rally, Yamalube Yamaha Official Rally Team’s Hélder Rodrigues, Adrien Van Beveren, Alessandro Botturi and Rodney Faggotter remain well in contention for top honours at this year’s event. 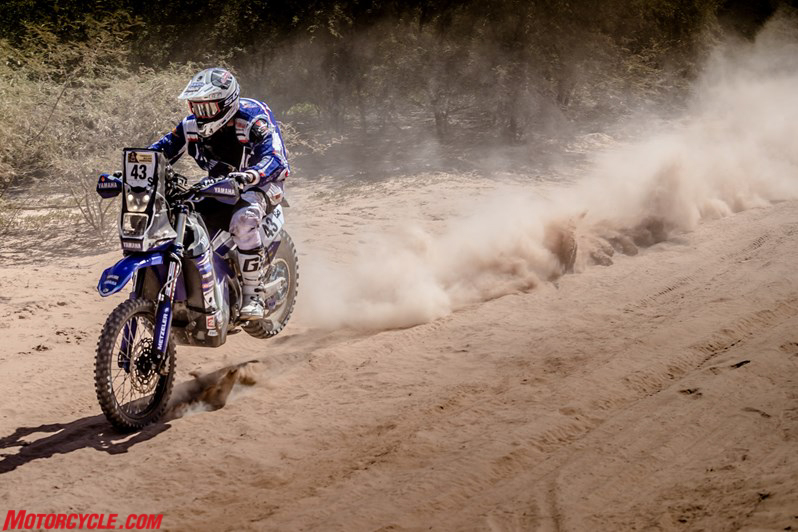 Following a well-calculated plan of attack, WR450F mounted Xavier de Soultrait was the best placed Yamaha rider claiming an impressive third place result on today’s stage two. 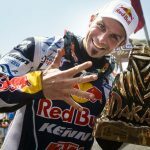 Following yesterday’s short special stage, day two of the 2017 Dakar Rally gave competitors a taste of what’s to follow in this year’s event. 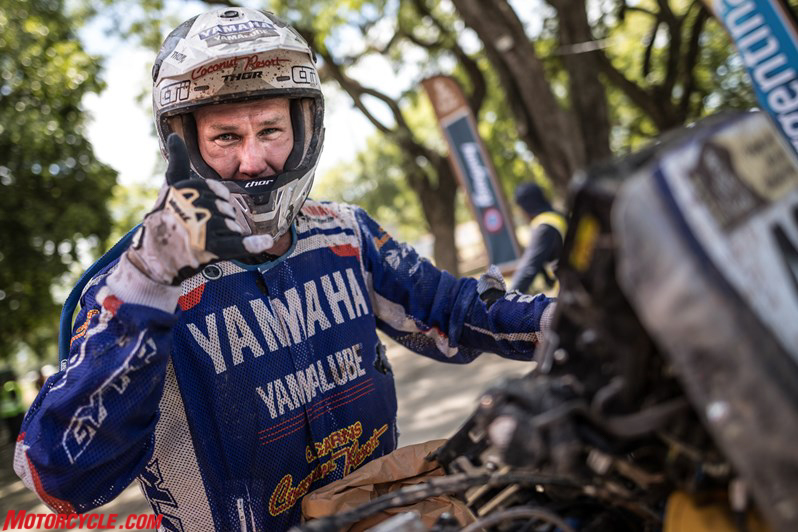 Despite suffering a crash after the start of today’s stage Australia’s Rodney Faggotter quickly got back up to speed and managed to bring his WR450F Rally home in an impressive 10th place. 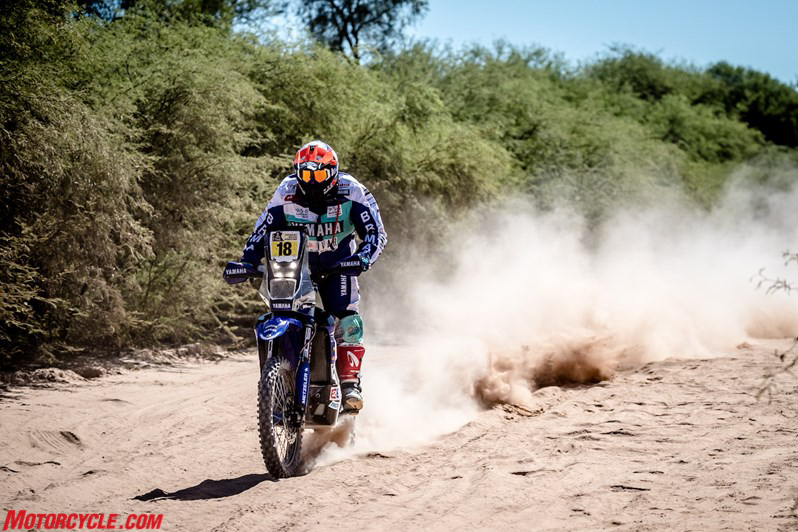 Feeling at home in the warm and dusty conditions in the Argentinean plains, the Yamalube Yamaha Official Rally Team rider is currently holding on to a solid 13th place in the overall standings. 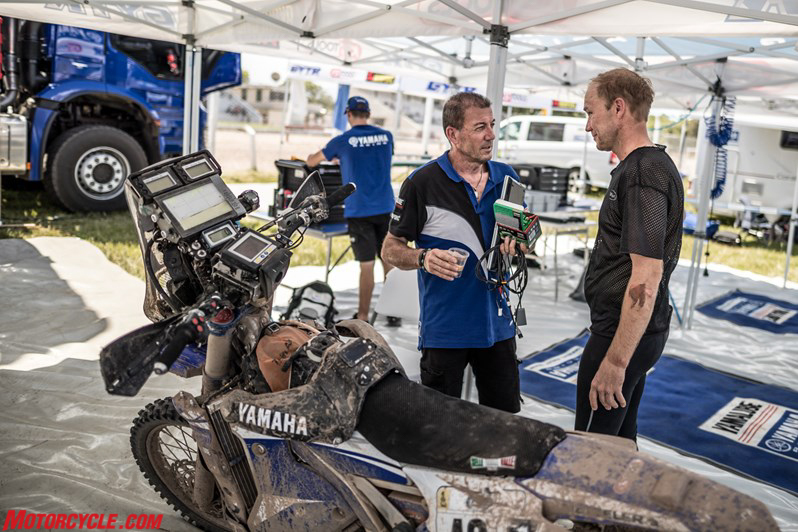 Wrapping up the day in 12th position, Rodney’s Yamalube Yamaha Official Rally Team partner Adrien Van Beveren finds himself 12th overall after stage two of the race. Struggling to get a good race pace in the treacherous conditions the Frenchman opted to ride cautiously to the finish of today’s timed special. 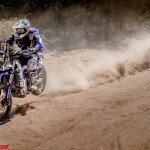 Putting his experience to good use Yamalube Yamaha Official Rally Team captain Hélder Rodrigues opted to take things cautiously throughout the special stage. 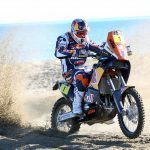 Currently placed 31st in the rally’s provisional overall standings the Portuguese rider knows there’s still plenty to play for during this year’s race. 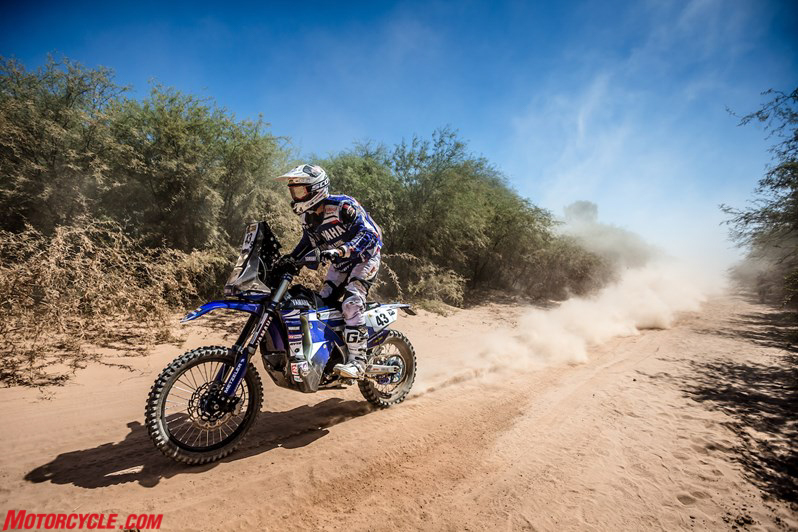 Enjoying another great day of racing aboard his rally-modified WR450F machine, Xavier de Soultrait raced a well-calculated special to post the third fastest overall time. 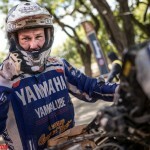 Confirming his status as a favourite for top honours at this year’s Dakar, the Frenchman is currently placed fourth in the overall standings, less than four minutes behind provisional leader Toby Price. 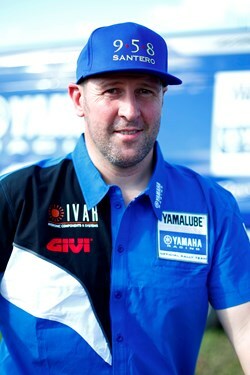 It was another brilliant day for Yamaha riders in the Quad category. 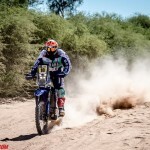 With five Yamaha riders topping today’s stage two classification, it was Argentina’s Pablo Copetti who came out on top on stage two. Including a 364-long timed special, tomorrow’s stage three will take competitors to the next bivouac in San Salvador de Jujuy. It’s been an up and down day for me so to get a spot inside the top 10 feels like a great achievement. I suffered a high-speed crash early in the morning, but managed to recover quickly and kept pushing. 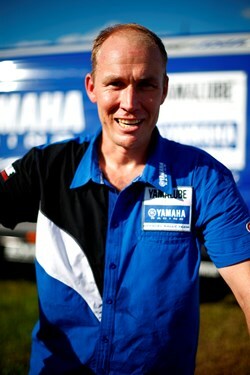 Soon after my fall I started getting a good feeling on my WR450F Rally. Conditions reminded me a lot of what I’m used to back home in Australia and that was surely an advantage today. 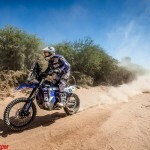 It was dusty, warm and fast in some sections, so I kept plugging away and got to the end of the special feeling great. 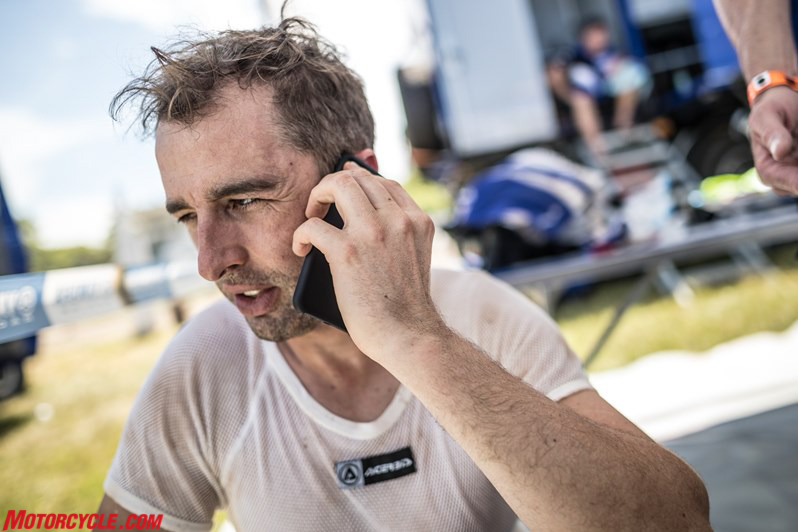 We’re now less than ten minutes behind the provisional leader so we know anything can happen in the next few stages. I’ll keep doing my best for myself and for the team. It wasn’t an easy day today. 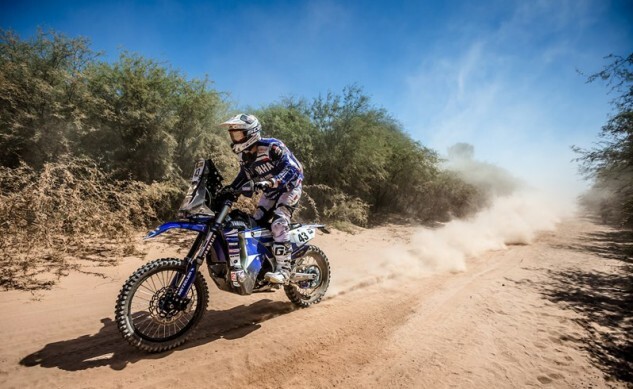 The tracks were destroyed and it was quite difficult to get a good feeling on that kind of terrain and conditions. There were also lots of animals everywhere in the special stage. 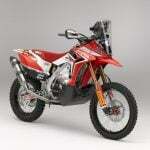 I had a close encounter with one of them somewhere around kilometre 30 of the special and that kind of made me lose my concentration. It took me some time to get back to full speed so overall I’m not satisfied with how things have gone today. Every day is like a new race for me and my plan is to continue taking things one step at a time. Every stage is a new adventure and my plan is to continue pushing for the best. 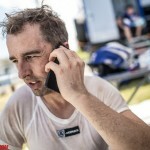 I rode a great stage today and I’m a bit disappointed with getting a time penalty. I guess that’s part of the race and I should accept it and move on. I would have been ninth overall today without the penalty and that’d have been a great result. In any case, the first long stage of the race is now over and we’re still in contention for the top. I have no problem with the bike and my navigation has been pretty solid this far. 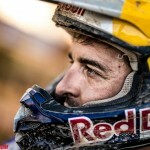 It’s going to be a long race and I’m more than looking forward to the coming stages. It was a long stage today with lots of sketchy parts where it was easy to make a mistake and lose it all. I quickly realised we were in for a dangerous special so I decided to ride safe to the finish trying to stay away from any stupid mistakes. 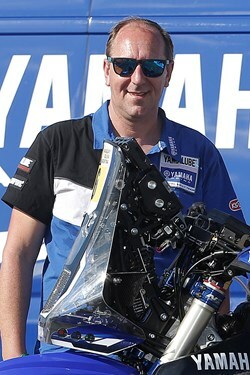 My final result might not be that good, but we’re still in one piece and the race is very long. Today I saw lots of riders pushing hard for the top, but what they might probably not understand is that we still have ten long stages before we reach the finish. 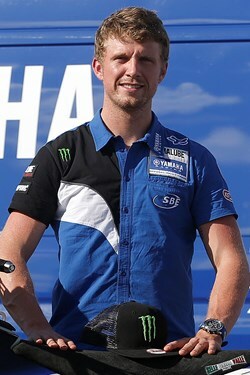 As for me, I’m feeling good on the bike and my plan for tomorrow is to start pushing to get closer to the top. Things are going great for me so far. 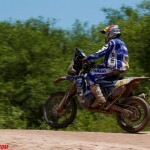 Today we got a proper taste of the Dakar with a hard and hot special stage. There were lots of animals in the special and it was just so easy to get distracted. I pushed hard from the start but quickly realised I was maybe taking one too many risks. 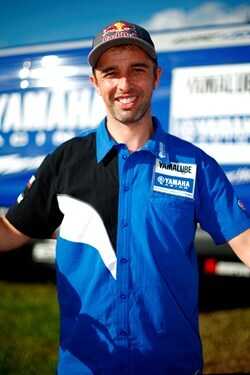 At one point I reached Ivan Cervantes and followed him for a little while. I think I lost something like a minute there but it helped me recalculate my priorities for the rest of the stage. 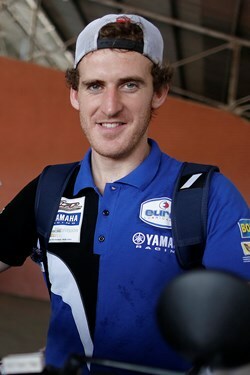 I’m excited with my third place finish on today’s stage. 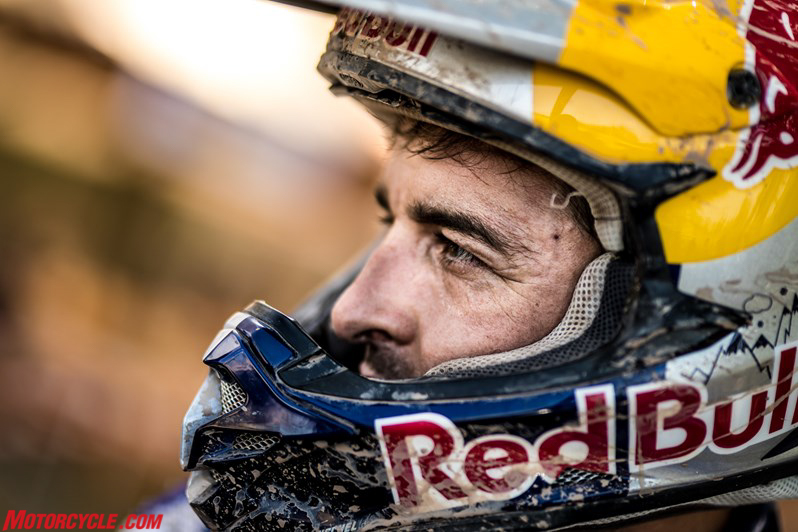 I’m now fourth overall so I have to remain 100% focused on each day and each stage from now on. It was a tough stage, but we’re glad all our riders are still in the game for the top. It might not have been as humid as it was yesterday but it was really hot, with temperatures well above the 40 degrees mark. 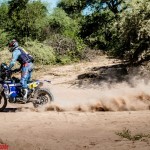 Feeling at home in the warm and dusty conditions of today’s stage, Rodney raced a great special stage for 10thoverall. Our riders are all doing a great job so far. 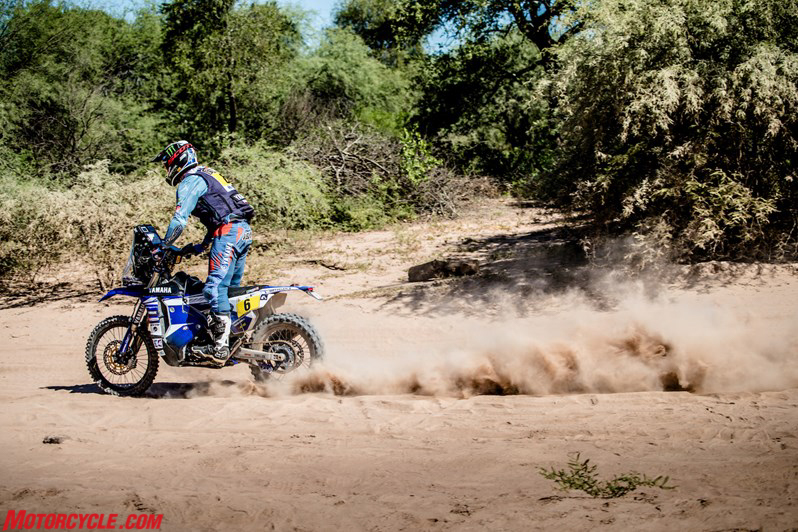 They made a well-calculated and cautious start to what looks like a very tough Dakar. We’re satisfied with how things are going, but of course there’s still a long way to go.